REUTERS - American Terry Hutchinson was a tactician for Team New Zealand when they contested the America's Cup final in 2007. He will now be CEO of New York's latest challenge for the Auld Mug. Sharing news of Team New Zealand welcoming the return of the legendary New York Yacht Club (NYYC) to the America's Cup after an absence of 15 years, is former America's Cup USA participant, Captain Charlie Dwyer of Asia Pacific Superyachts Langkawi & Koh Samui, Thailand and Duthie Lidgard of Asia Pacific Superyachts New Zealand. 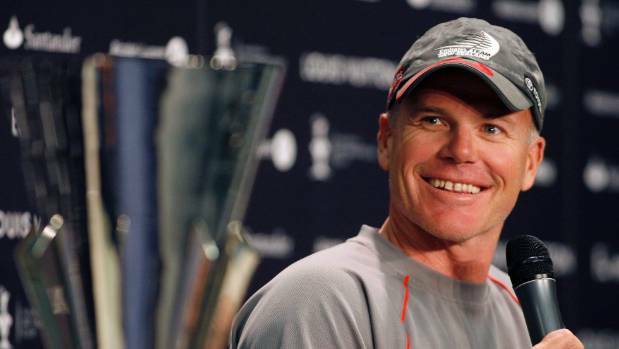 America's Cup veteran Terry Hutchinson will serve as CEO and skipper. Hutchinson was part of Team New Zealand's strong challenge for the 2007 America's Cup in Valencia where he was tactician to skipper Dean Barker, notes Captain Charlie. He has also been part of the previous Auckland America's Cup regattas with America One (2000) and Stars and Stripes (2003). He was involved with Swedish challenger Artemis Racing in the lead up to the 2013 America's Cup in San Francisco. The legendary US club announcement from NYYC that it will challenge for the America's Cup to be held in Auckland in early 2021 is exciting news, according to Lidgard, earlier reporting on New Zealand’s pride and excitement in learning the 36th America’s Cup will be held in Auckland. Media reported Grant Dalton, CEO of Emirates Team New Zealand, was quick to welcome the news of the challenge having had long associations with two of the key yachtsmen leading the challenge - Doug DeVos and Hutchinson: "As exciting as it is to have a challenge from the New York Yacht Club, I am equally enthused having Hap Fauth, Doug and Terry in the America's Cup," said Dalton. The legendary US club announced that it will challenge for the 36th America's Cup to be held in Auckland in early 2021. Earlier in the year Asia Pacific Superyachts New Zealand reported on the country's pride and excitement in learning the 36th America’s Cup will be held in Auckland. Team New Zealand reported to have said, 'to have the most famous yacht club in America's Cup history back after a 14 year hiatus was a significant boost to the event and the principles of tradition and fair play which the protocol for the 36th America's Cup is built on'. Commodore Philip A. Lotz said, "The New York Yacht Club is returning to the America's Cup after an absence of a decade and a half, perhaps the ultimate nod to tradition as sailing's marquee regatta is reshaped following Emirates Team New Zealand’s stunning victory in June", as announced by the Associated Press earlier and reported in the Washington Times. "The America's Cup has always remained close to the heart of the New York Yacht Club, even in the years where we didn't participate as a challenger or defender. For this cycle, a lot of elements have come together in the correct way for the Club to enter another challenge."